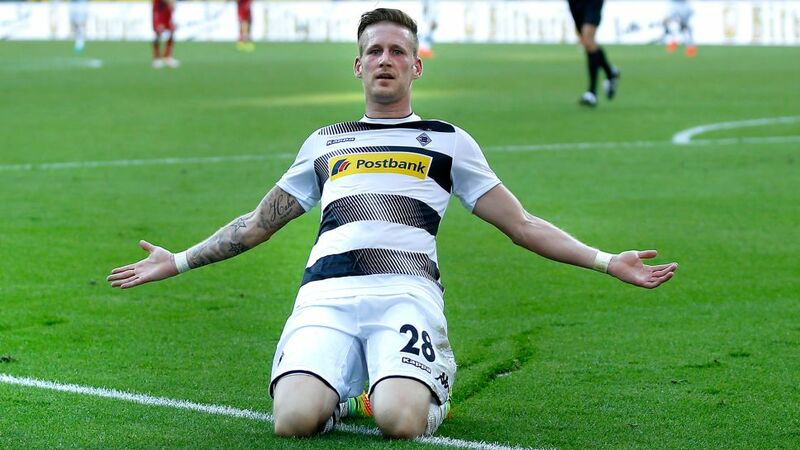 Andre Hahn was instrumental in Borussia Mönchengladbach's impressive win over Bayer 04 Leverkusen. Borussia Mönchengladbach versus Bayer 04 Leverkusen. It was the top match of Matchday 1. Two Champions League participants. Two local rivals with lofty aims for the season. And it was settled by one man. Andre Hahn. Is Hahn in your Official Fantasy Bundesliga side? If not, sign him up now! In the end, the goalscorer inevitably takes the glory. But Andre Hahn's match-winning performance was much more than that. He ran his socks off up front and in defence and constantly proved Gladbach's greatest threat. But did he do enough to earn your vote as Matchday 1 MVP? Vote for Hahn for #BLMVP on our twitter channel now! ...Hahn has scored six goals in his last five league appearances stretching back to last season, including a brace in a 2-1 win over Leverkusen back in May....Hahn's goal was Borussia's 2,800th in the Bundesliga....he was directly involved in five of Gladbach's 14 shots on goal and his 80% success rate in one-on-one challenges was the best in the match....his performance would have earned 13 Official Fantasy Bundesliga points!